A kaizen event is one arrow in the lean manufacturing “quiver.” Or one tool in the lean toolbox–pick your favorite metaphor. But just what is a kaizen event? This article will spell it out for you: we’ve got the goods in the sections immediately below. And we’ll be adding more from time to time in the future. Hope you enjoy our look at lean topics. But now, to business–let’s learn about kaizen events. Kaizen, Kaizen, and Kaizen Events: What’s the Difference? Within the world of lean, kaizen (not the Japanese word kaizen, which we just discussed, and not kaizen event, which we’ll get to shortly) means a philosophy of continuous improvement, especially one guided by actual workers on the floor and not their managers. So kaizen is an ongoing, never-ending process of constantly making the workplace better by using observations and ideas from workers. These efforts focus on the lean fundamentals of increasing value and decreasing waste. If you’re curious, check our article that’s specifically about kaizen. By contrast, a kaizen event is NOT an ongoing, never-ending process aimed at improving the entire workplace. Instead, a kaizen event lasts for only a short period of time, typically just a few days. And it’s usually focused on one particular part of the work flow instead of on everything. And, it’s performed by a kaizen team instead of just by all workers on their own. So those are three pretty significant differences between kaizen and a kaizen event. Of course, even with those differences, the end goals remains the same: to decrease waste and increase value as perceived by your customer. How Are Lean Manufacturing and Kaizen Events Related? Lean manufacturing is a school of thought and a set of principles intended to make businesses more efficient. The basic idea is to increase value, as measured by the customer, by reducing waste in the production process. There’s more to it than that, of course, but that’s not a bad quick synopsis. Kaizen events are one aspect of lean manufacturing. So a kaizen event is one of many things you can do at work to be more lean. In the following sections, we’ll give you a quick overview of what happens during a kaizen event. Before your actual kaizen event, there will be a period of extended planning to prepare for the event. A kaizen event facilitator will help lead this pre-event planning period. You can have an in-house employee act as your kaizen event facilitator. However, the person who fills this role has a lot to do, and the success of a kaizen event can be closely related to how well the facilitator facilitates. When people think about hiring an outside expert to lead a kaizen event, this is who they’re thinking of hiring. That doesn’t mean you have to hire a kaizen event facilitator, we just want to get that on the table. There are also other roles that people in-house can fill during this pre-event planning period. These aren’t as critical as the role of the facilitator, and they’re beyond the scope of this article to cover. But for now, know that some other people will be doing some other things to help prepare for the kaizen event. Many things will happen during this time. Two of the most important will be selecting the scope of the event and selecting the actual kaizen event team members. We’ve included additional information about each of those below since they’re critical to the success of the event itself. Above, during our contrast of kaizen and kaizen events, we called out a critical difference between the two. While kaizen by definition focuses on all aspects of the workplace, a kaizen event is going to be more focused. It may focus on just one process–maybe materials delivery or warehouse and shipping. Typically, the focus of the kaizen event would have been chosen because there’s waste or inefficiency in that area that’s reducing value to the customer. The specific focus may be chosen because lean techniques such as value stream mapping, or analysis of various lean metrics, have identified it as an area for improvement. Or maybe other key performance indicators (KPIs) have been used to identify the focus. Or maybe there’s just a general sense that something could be made better. But however you’ve chosen the area, the goal is to select an area or process that could be improved to increase value to the customer. And typically, that’s because there’s a “problem” in that area. Another difference between kaizen and a kaizen event has to do with who’s involved. In kaizen, everyone’s involved every day. The emphasis is on having all workers contribute. By contrast, in any single kaizen event, there’s a defined kaizen team assigned to tackle the problem. Typically, you’ll need at least six people on a kaizen event team, and possibly as many as ten. Be careful about adding too many more, though, as this can cause the classic “too many cooks are gonna spoil the stew” problem. A good number–at least half of the team–should be made up of the people who currently perform the work that the kaizen event is intended to improve. Make sure the team includes people from several different departments (whose work “touches” the process or area being improved). Try to include “internal suppliers” of the process (people who provide input to that part of the business). Try to include “internal customers” of the process (people who receive output from that part of the business). Include subject matter experts (SMEs) who have special knowledge about the process. If appropriate and possible, consider including contractors, vendors, suppliers, and/or customers. Bring in someone who’s not directly involved in the process to serve as an objective third party/outside voice. This may be a good role for someone from management/leadership. Your actual kaizen event may last a few hours or a few days. Maybe even a week. Start it up: The facilitator should explain to all team members the purpose and scope of the event. Everyone should introduce themselves to one another. General principles of lean manufacturing, such as reducing waste and increasing value as perceived by the customer, should be explained. And then the basic structure and the agenda of the kaizen event should also be explained. Quick thought: some of this can be done in the form of an elearning assignment that team members complete on their own before you assemble. Map the current state: Have all team members work together to map the current state of the process. Analyze the current state and identify parts that don’t add value (in other words, identify the waste). Design an improved future state: With the current state mapped, and its non-value-adding aspects identified, work together to brainstorm and design a leaner, more efficient future state. Perform some form of “tests” on the designed improvement: This may be simply reviewing a diagram, or it may involve giving a simple new process a test-run, but check to see if the new idea really is better. If you can catch a bad idea that seemed like a stroke of genius on the whiteboard before you put it on the floor, that’s going to save you in the end. Put the new plan into action: Now, put the new ideas into place and begin working with the new process. You’re not done when the short kaizen event is over. Instead, you’ve got plenty of observation, measurement, and monitoring to do. First of all, you want to observe the new process in action and see if it’s really being implemented as planned. You may also find that you may have to make some quick (and minor) on-the-fly adjustments at this point. Next, you’re going to want to monitor and measure the process you just changed. Remember that the goal was to increase value, and you can’t just take that on faith. So use your lean metrics and other business metrics to measure the process, compare it to your measurements before the kaizen event, and make sure there really was an improvement. And finally, you’ll want to keep tabs on the newly changed (and hopefully improved) process to make sure the changes “stick.” Sometimes new changes have a way of disappearing as we backtrack to our old ways. But if your measurements show that the change did create improvement, then you want to make sure to stick with it. 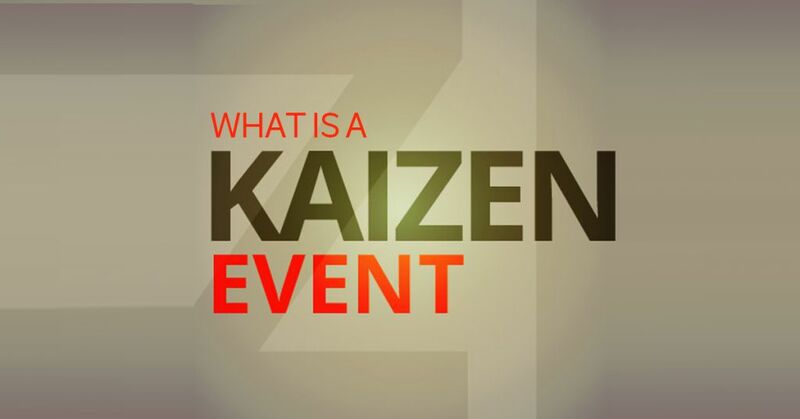 We hope this quick overview of the kaizen event gave you a general understanding of what a kaizen event is, how to prepare for one, how to hold one, and how to follow up after a kaizen event. Of course, there’s much more to be said about kaizen events, and entire books have been written about them. If this article has got you interested, then we definitely suggest you pick up a book and read more (or consider hiring one of those experienced kaizen event facilitators we mentioned earlier). If you have experience holding kaizen events, or have thoughts or comments about them, we’d love to hear what you have to say. There’s a comments section immediately below this article–type away and let yourself be heard. 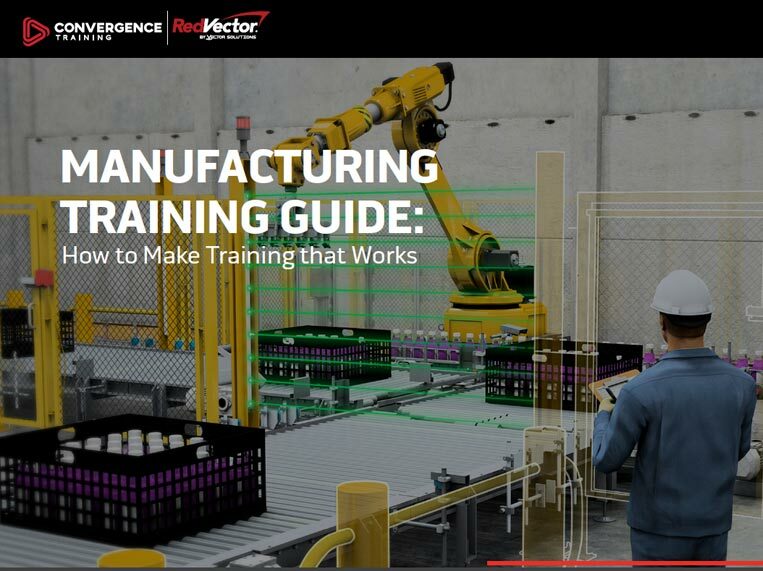 Before you go, download our FREE MANUFACTURING TRAINING GUIDE too! Thanks, Alan. Glad you found something useful there. You’re welcome, hope it helps. Let me know if you have any additional questions.